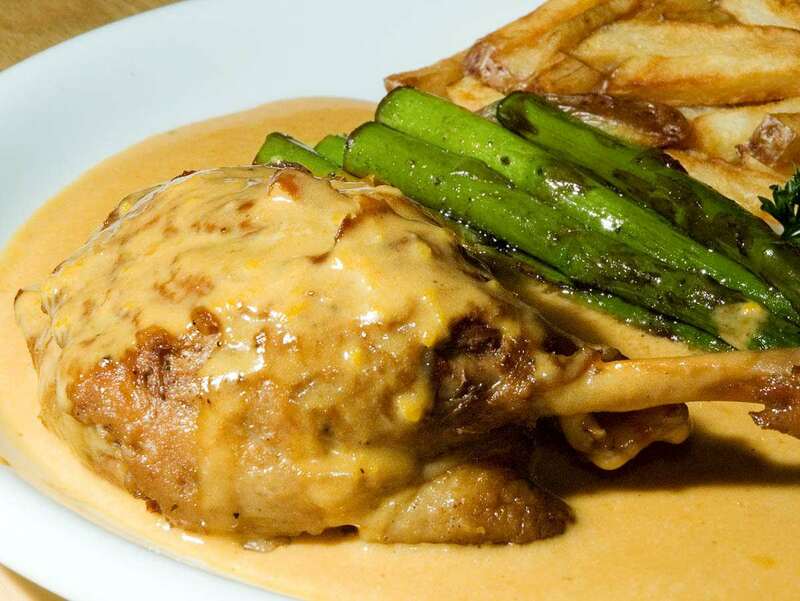 Here my recipe for duck legs in a flavorful and tangy orange sauce (Duck a l'Orange). To speed up preparation, I cook the duck legs in the pressure cooker. My experience is that pressure-cooking duck legs works very well, they always turn out nice, tender and very moist. The orange sauce gets its flavor from vegetables, orange zest and triple sec or Grand Marnier. A few years ago, I got inspired by the nice French duck recipes in . Since then I spent some time experimenting and developing my own fast version of duck legs in orange sauce. Here it is, I hope you enjoy it, too. Set pressure cooker over high heat. Add oil and duck legs (skin down first). Cook from all sides until nicely browned (10-15 minutes) Remove duck legs from pan and set aside. Bring liquid back to a boil. Add duck legs, put lid on pressure cooker and cook under high pressure for about 40-45 minutes. Release pressure, remove legs and keep warm. Add remaining orange zest, and puree the vegetables with a stick blender. Add vinegar and orange juice. Adjust seasoning with salt and pepper. Add parsley. Serve. To a achieve a more crunchy skin (optional): Preheat oven to 220°F / 100°C. 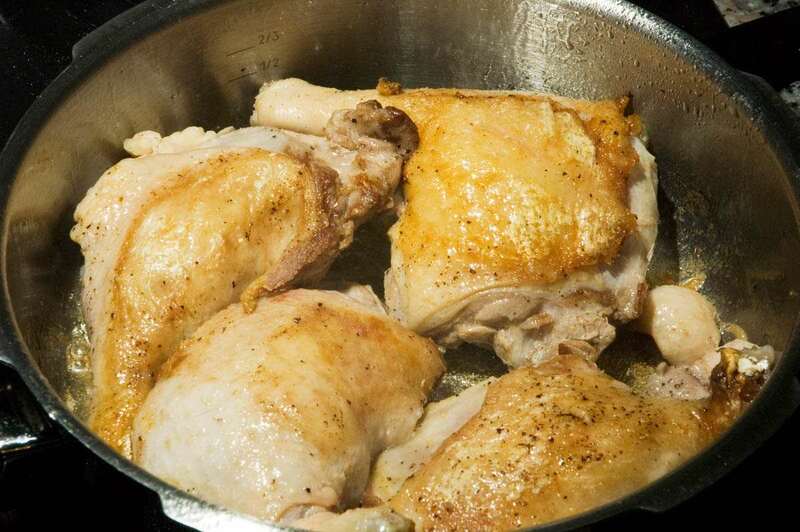 After cooking, place duck legs in the oven for at least 20 minutes. Thank you for this recipe. It was delicious and very simple to make. Not too rich or fatty as duck can be.